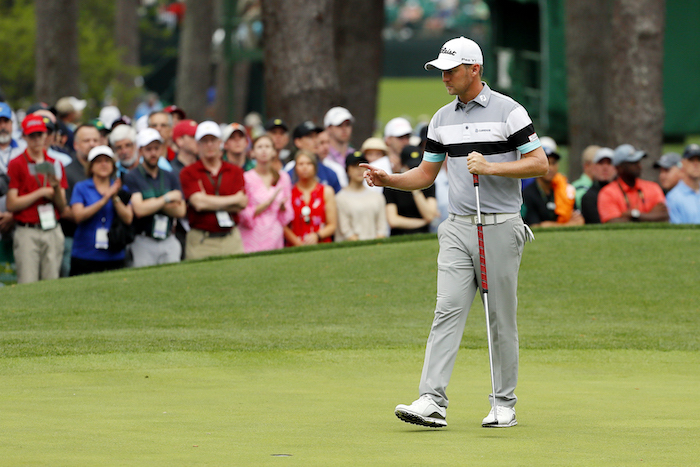 Justin Harding will get a second bite at the Masters cherry after holding his nerve, and his final putt, on Sunday at Augusta National, writes WADE PRETORIUS. READ: Tiger Woods does it again! Harding will return to the 2020 championship regardless of what happens over the rest of the season, after finishing with a share of 12th. The world No 49, who will be No 44 when Monday’s rankings are released, was not able to force his way into the frame for victory, but hung tough throughout a thrilling final round which saw playing partner Xander Schauffele run Tiger Woods close. Harding opened with a birdie, but turned 1-over par after bogeys at 2, 4 and 7; the latter coming immediately after a second birdie of the week at the par-3 6th. For the third day in a row, he would open his inward nine with a bogey, but then, repeating his two previous rounds, Harding made light work of the par-3 12th; the hole that saw challengers Francesco Molinari and Tony Finau settle for double. The multiple winner across the Sunshine and Asian Tours somehow saw his ball stay up on the par-5 15th, but disaster ensued when his chip flew over the back of the green. The action all around him, coupled with that drop, saw Harding needing two shots to make it into the top 12 to be invited to return to The Masters automatically. Harding then relied on every bit of skill as he found the 18th in two, before watching as his long-range putt nestled in the bottom of the hole. It was a week to remember as the South African enhanced his ever-growing reputation. Something he’ll be ready to build on again next year.